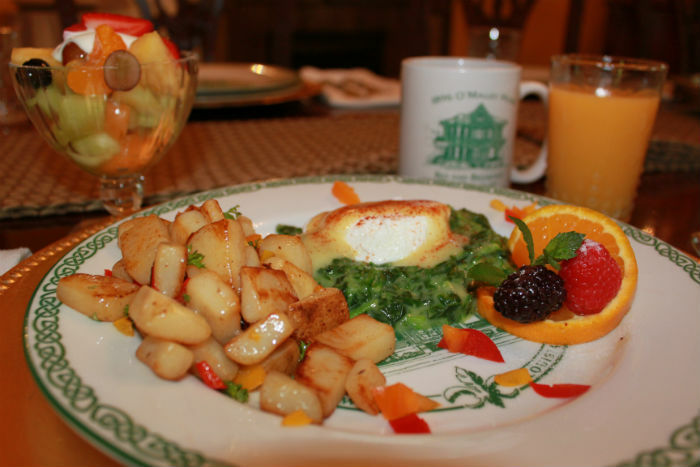 Eggs Sardou with Creole Grilled Potatoes. Hungry yet? Add our elegant fresh fruit cup, muffins, biscuits, juice and our local Community Coffee New Orleans blend with Chicory and you’ve got a great start to your day on the town!